CHICAGO – In the latest HollywoodChicago.com Hookup: Film with our unique social giveaway technology, we have 40 pairs of advance-screening movie passes up for grabs to the highly anticipated “Lee Daniels’ The Butler” starring Forest Whitaker and Oprah Winfrey! CHICAGO – Can a Blu-ray be both great and a likely placeholder for a future Special Edition? “The Hunger Games” makes that case. The lack of a commentary track or deleted scenes (and Lionsgate’s double-dipping track record) lead one to believe that a Special Edition will likely hit stores in conjunction with “Catching Fire” but this is still a great release with hours of special features and a stellar HD video and audio transfer. 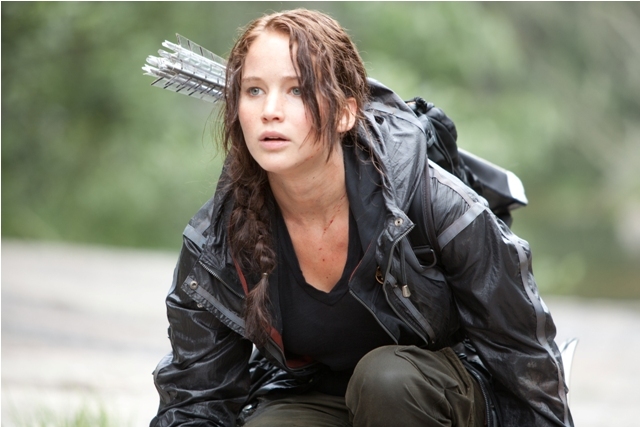 CHICAGO – Gary Ross’ “The Hunger Games” is a spectacular piece of blockbuster entertainment, a movie that should connect across all demographics from those who have never heard of the book to those who have shrines to Katniss and Peeta in their closets. CHICAGO – Hot opportunity! In our latest meet the celebrity edition of HollywoodChicago.com Hookup: Film, we have 5 admit-two wristbands up for grabs for the highly anticipated “The Hunger Games” in-person celebrity autograph signing! CHICAGO – There are two big questions floating around Hollywood at the moment – “How hard is “John Carter” going to flop?” and “How big is “The Hunger Games” going to be?” Because director Gary Ross’ adaptation of Suzanne Collins’ uber-popular dystopian young adult novel has some incredible buzz surrounding its March 23 release. CHICAGO – The much anticipated release of “The Hunger Games” is officially 50 days away, and the Twitter world exploded this morning with #HungerGames50 tweets after a new trailer was released for the film. The trailer, which includes several scenes we have already seen from the first theatrical trailer, adds new conversations between Katniss and several other characters, including Prim, Gale, and Caesar.